Was your legal case or transaction mishandled by your lawyer or paralegal? Were you given poor advice or none at all? Were you advised to accept a settlement that you didn’t understand, or that didn’t seem to make sense in the circumstances (i.e. at a time when you remained out of work)? Did your lawyer miss the statute of limitations, fail to follow the Rules of Professional Conduct, or otherwise fail to use due care in the handling of your case? Did you later learn that your house (or other real estate) was subject to liens, easements or other title defects that you were not made aware of at closing? Did any of these issues cause you to suffer serious financial losses? If the answer to one or more of the above questions is YES (and you suffered serious financial losses) you may have been the victim of legal malpractice (also known as professional negligence and/or solicitor’s negligence). Generally speaking, legal malpractice in Canada occurs when a lawyer fails to use ‘reasonable care‘ in the circumstances, namely, the degree of skill that another member of the profession would use, which resulted in damages (or financial losses). The amount of legal malpractice damages caused by legal malpractice negligence will determine the amount of compensation to which you are entitled. Less than 10% of claims have a reported value in excess of $100,000.00 (below which, they may not be financially viable to prosecute). Your lawyer has previously been sued for malpractice or disciplined by the Law Society of Upper Canada. There are other open LawPro claims against your lawyer or his/her law office. Your lawyer takes offence, gets upset, or agitated when you ask whether he/she or anyone at their law firm has ever been the subject of any sort of LawPro or or legal malpractice complaint. While you retained an experienced Ontario lawyer, all of your contact with the lawyer’s office comes through a junior lawyer, paralegal, legal assistant or secretary. The lawyer assigned to your case keeps changing. The support staff assigned to your case keeps changing. The lawyer loses or cannot locate parts of your file that you have provided to him/her. Your lawyer refuses to let you see or have a copy of your file. In meetings with your lawyer, your file looks random and disorganized. Your lawyer does not return your phone calls or answer your emails. Your lawyer won’t see you when you show up at his/her office. Your case is dismissed, but your lawyer won’t give you a copy of the Order. 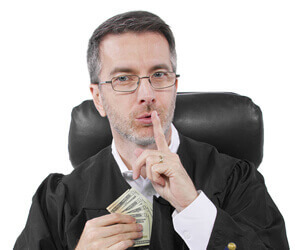 Your lawyer talks to you loudly and incoherently, communicating that “the Judge decided not to give you anything” or that “the Court dismissed your case”. Your lawyer won’t provide a reason for your case’s dismissal. You are convinced (or are told) that your lawyer botched your case. After buying a property, you learn there are defects to the property, title, or other unpaid assessments that you are responsible for. If you have experienced any of these potential legal malpractice examples, call Michael’s Law Firm today at 647-495-8995 for a free consultation. At a minimum, you’re likely not getting good legal service and could likely be better served by another lawyer. To succeed on a claim for legal malpractice, you must prove that you most likely would have won the underlying case, if not for the negligence of your lawyer. Likewise, not all errors in judgment by lawyers constitute legal malpractice. It is important to consult with an experienced malpractice lawyer to determine whether you may have a case. What Do Legal Malpractice Cases Typically Require? In almost all legal malpractice cases, an expert witness is required (i.e. a lawyer who is an expert in the field to provide the Court with an opinion as to the ‘standard of care.’). This requires a senior lawyer to review the facts of your case in detail, and often costs in excess of $10,000.00 to obtain. Depending on the type of case (personal injury, business litigation) other expert witnesses (doctors, accountants) may be required as well, often at similar cost. Likewise, LawPro defends cases of legal malpractice aggressively, meaning that prosecuting such cases often requires hundreds of hours of a lawyer’s time. As a result, many valid cases of legal malpractice cannot economically be pursued by our lawyers, though if you believe you have been the victim of legal malpractice, you should call us to see whether we may be able to help you. For more than ten years, Michael Lesage has prosecuted (and settled) cases of legal malpractice in Canada and the US. He has experience settling cases where lawyers recommended improvident (poor) settlements, missed the statute of limitations, and represented a client in a truly bizarre case, where a lawyer thought it would be a good idea to start up a business in direct competition with his existing client (using the same name no less). That case settled very quickly…. Fill out our Free Case Evaluation Form or call our GTA legal malpractice lawyers at 1-647-495-8995 for your free and confidential legal malpractice case evaluation. We have law offices in Hamilton and Toronto, and our Ontario malpractice lawyers will meet you where it’s most convenient. Special Note: If you lost your case at trial and a costs judgment was entered against you, contact me today. In many cases, Legal Cost Protection (basically, costs insurance) was available from litigation finance companies such as BridgePoint Financial Services Inc., Redress Risk Management, thejudgeglobacl.com and DAS Canada. If you were not advised about this option, your lawyer may be responsible for paying the costs assessed against you. Call me today to find out more. LawPro Magazine, May 2018, V17.2, page 6. LawPro Magazine, May 2018, V17.2, page 7. LawPro Magazine, May 2018, V17.2, at pages 3, 9, 7, respectively. LawPro Magazine, September 2017, V16.3, page 19.